Folding and Portable Pet Cave — It has 3 in 1 function, a warm pet cave, a soft pet bed and a pet travel bag. 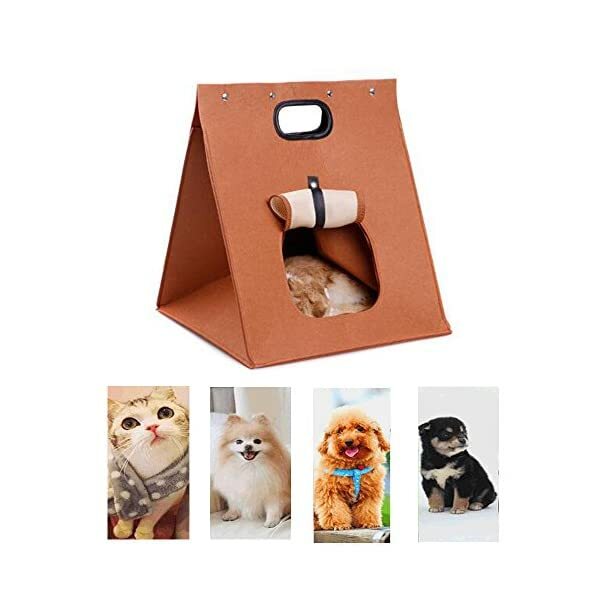 This removable pet house is the best partner to offer familiar and comfortable place to your lovely pets in anywhere. 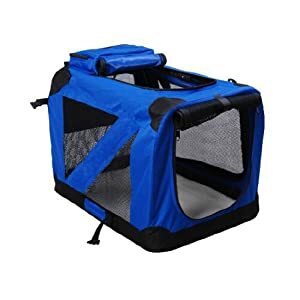 A Soft Carrier — It is nice that it is a soft carrier, and is not a pain to carry like the hard plastic cage ones. It is made of warm felt to avoid the damage of plastic and offer a clean place to your pets with natural antibacterial properties. A Wonderful Window — It has a removable air mesh window which make pets feel breathable and comfortable. From the window, your pets can feel very safe of gazing the owner every now and then. 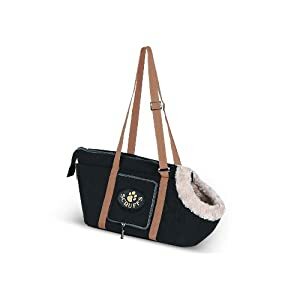 It is not only a nice cave bed but also a shuttle and removable bag for your pets. It generally is a good friend of all pets under 4kg. 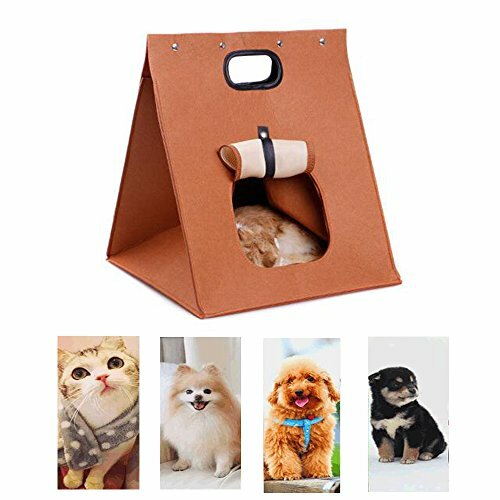 Folding and Portable Pet Cave — It has 3 in 1 function, a warm pet cave, a soft pet bed and a pet shuttle bag. 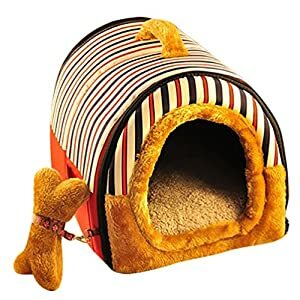 This removable pet house is the best partner to offer familiar and comfortable place to your lovely pets in anywhere. 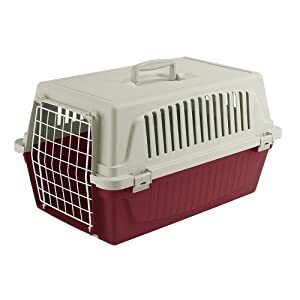 A Soft Carrier — It is nice that this can be a soft carrier, and is not a pain to carry like the hard plastic cage ones. It is made of warm felt to avoid the damage of plastic and offer a clean place to your pets with natural antibacterial properties. A Wonderful Window — It has a removable air mesh window which make pets feel breathable and comfortable. From the window, your pets can feel very secure of gazing the owner from time to time. Easy to Clean — It is easy to flick the dust by a soft brush and keep it clean and comfortable. Meanwhile, additionally it is removable, washable and colorfast.